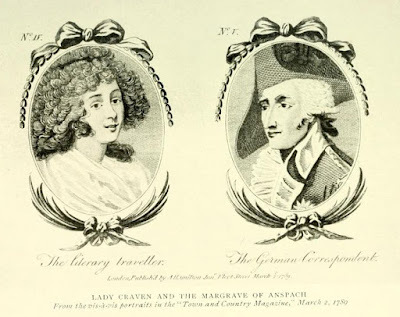 Elizabeth, Margravine of Brandenburg-Ansbach-Bayreuth, previous married name Lady Craven (17 December 1750 – buried 13 January 1828), was a playwright and author, notorious for her scandalous affairs during her first marriage to Lord Craven. 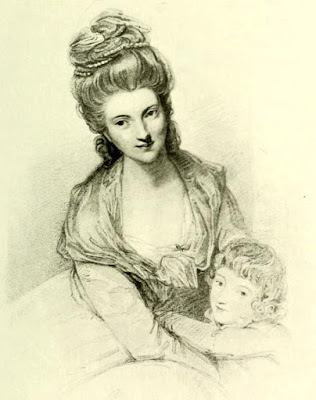 Elizabeth Berkeley was born on 17 December 1750, the youngest daughter of Augustus Berkeley, 4th Earl of Berkeley, and his wife, Elizabeth Drax of Charborough in Dorset. On 10 May 1767, at the age of 16, Elizabeth married William Craven (1738-91), a man some twelve years her senior. Two years later he became the 6th Baron Craven on the death of his uncle. 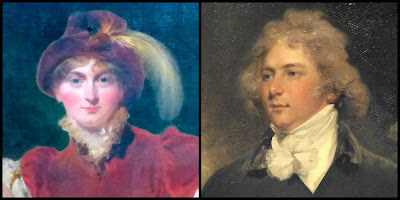 They had seven children: Elizabeth (1768); Maria (1769) who married William, 2nd Earl of Sefton; William, 1st Earl of Craven (1770); Georgiana; Arabella; Henry Augustus Berkeley (1776); and Keppel Richard (1779). The marriage, however, was not a success. Both Elizabeth and her husband indulged in affairs, notably Elizabeth’s scandalous liaison with the French ambassador, the Count of Guines, in 1773, which even made it into the pages of the Morning Chronicle. Elizabeth became friends with Horace Walpole, corresponding with him and visiting his home at Strawberry Hill. 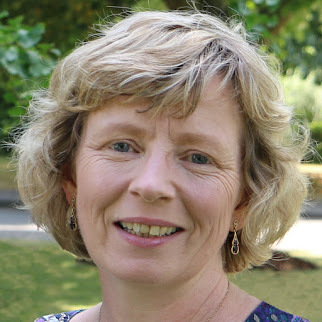 Some of her early work was published on the Strawberry Hill Press. 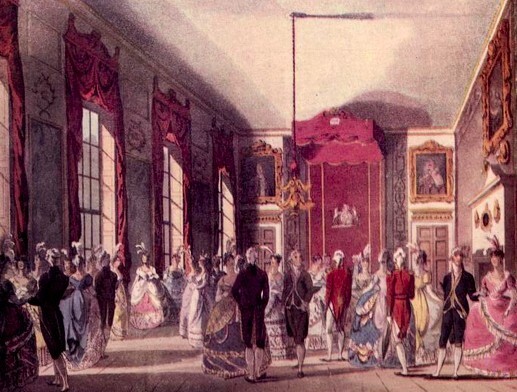 During this period, she wrote a satire on German snobbery and several plays, including The Miniature Picture, which was put on at Drury Lane in 1780/1. Whilst Lord Craven tolerated Elizabeth’s behaviour, she was still received in society, but in 1783, Lord Craven had had enough. 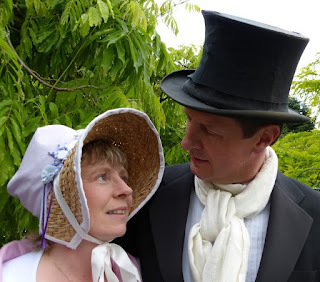 He arranged a separation, giving Elizabeth a settlement of £1,500 a year. Taking her youngest son Keppel with her, Elizabeth went to live near Versailles in France where she wrote plays for the court theatre. 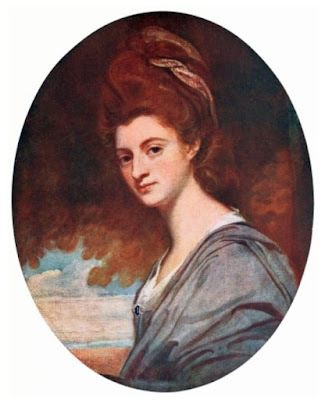 She became romantically involved with Henry Vernon, the great nephew of Admiral Edward Vernon, and over the next few years, she travelled extensively in Europe, in France, Italy, Austria, Poland, Bulgaria, Russia, Greece and Turkey. 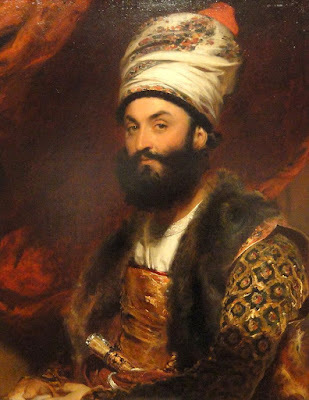 Whilst on her travels, she wrote to Christian Frederick Charles Alexander, the Margrave of Brandenburg-Ansbach-Bayreuth, whom she had met in France. 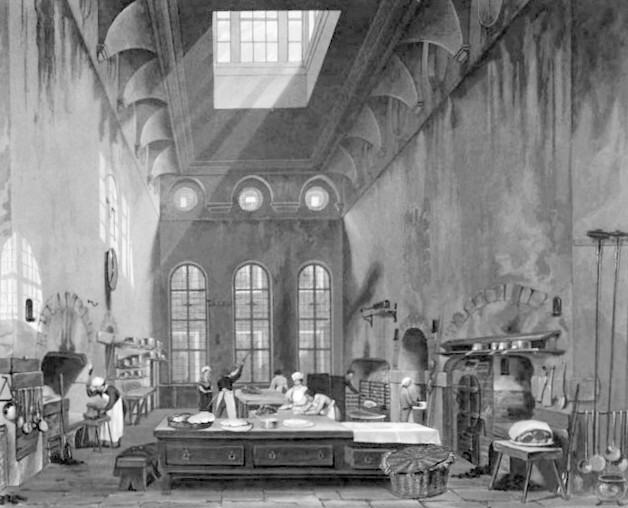 The Margrave was part of the Prussian royal family with a sickly wife back at home. At the suggestion of Horace Walpole, Elizabeth published the story of her travels, A Journey through the Crimea to Constantinople (1789), her most popular work. In 1787, Elizabeth visited her long-time correspondent, the Margrave of Ansbach, and successfully displaced his mistress in his affections. Together they travelled to Berlin to arrange the sale of the Margrave’s principality to the King of Prussia for a very handsome sum. 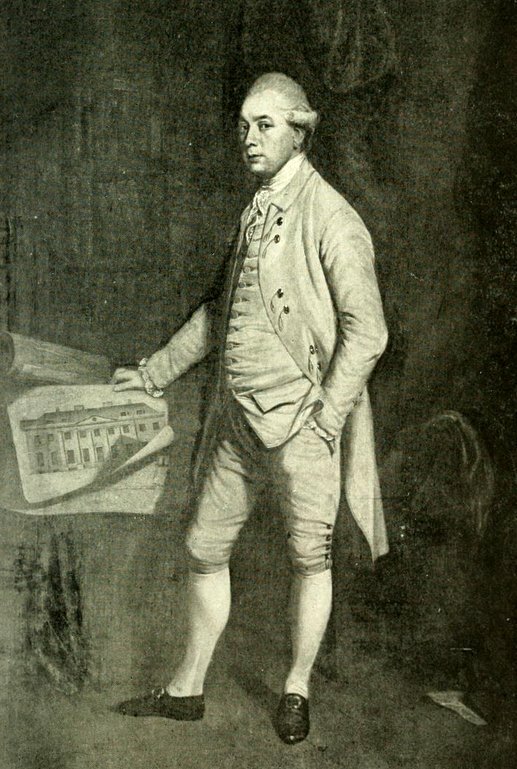 The Margrave’s ailing wife died in early 1791, and Lord Craven followed suit in September. Less than a month later, on 13 October 1791, Elizabeth married the Margrave in Lisbon with great style. Elizabeth and the Margrave travelled to England and bought a house in Fulham overlooking the Thames which they called Brandenburg House. If Elizabeth had hoped that her wealth and position would see her past indiscretions forgotten, she was to be disappointed. It must have been an even greater blow to Elizabeth that she was not received at court. George III disapproved of her marriage, thinking it unequal – the Margrave was a member of the Prussian royal family and Elizabeth was only the daughter of an earl. The King refused to recognise the title of Princess Berkeley that the Holy Roman Emperor Francis II had bestowed on her. Despite these setbacks, Elizabeth entertained lavishly at Brandenburg House and frequently put on plays in the little theatre near the house. Around 1799, the Margrave bought Benham Park, near Newbury in Berkshire, the country seat of the Cravens. The Margrave took a keen interest in horseracing and bred horses at Benham. 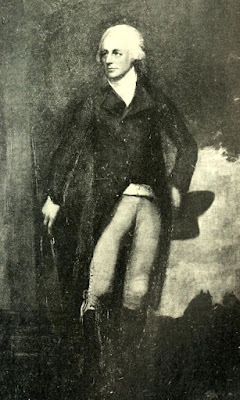 The Margrave died quite suddenly on 5 January 1806 leaving his wife a fortune of around £150,000. Elizabeth erected a huge memorial to him near Benham, on the Bath Road. 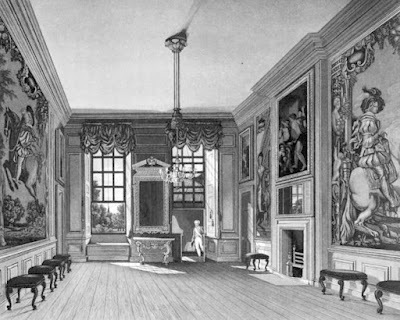 The widowed Margravine continued to divide her time between Benham Park and Brandenburg House with occasional trips to Europe. The ambassador was back at Brandenburg House on 6 April 1810, during the London riots over Sir Francis Burdett’s arrest. 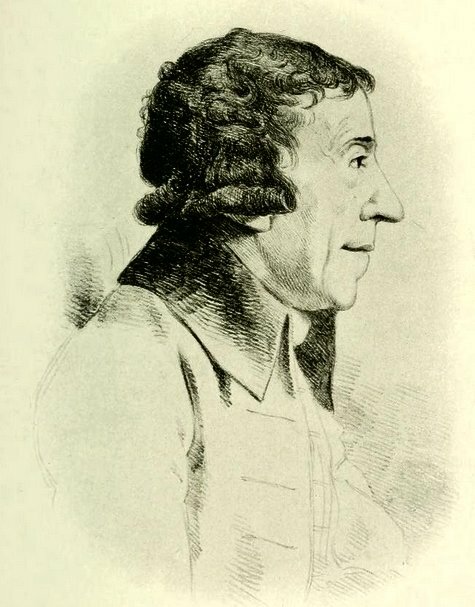 He noted that two of the Margravine’s guests, Lord Keith and his daughter Margaret Mercer Elphinstone, arrived covered with mud, because the rioters had pelted them with stones for refusing to remove their hats. In June 1820, Caroline, Princess of Wales, the estranged wife of George IV, returned to England to claim her position as Queen Consort of England. 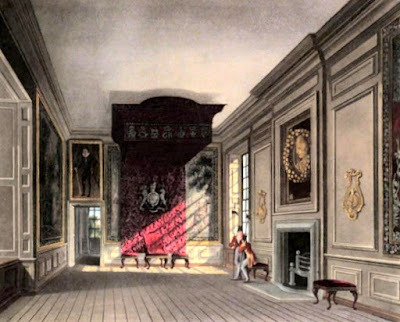 Elizabeth lent Brandenburg House to Queen Caroline, and it was here that Caroline died on 7 August 1821, having failed in her attempt to be crowned Queen. The following February, Elizabeth commissioned the sale of furniture, china and books at Brandenburg House, and in May, the fabric of the building was sold off, including staircases, chimney pieces, doors, windows, and the scenery and machinery of the theatre. Elizabeth was living in Villa Craven, her house in Naples, when she wrote her colourful memoirs which were published in 1826. 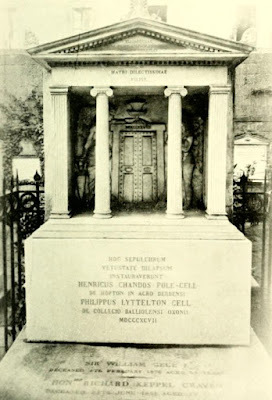 She died two years later and was buried in the British cemetery at Naples on 13 January 1828. (1) From Craven, Elizabeth Craven, Baroness, The beautiful Lady Craven edited by AM Broadley and Lewis Melville (1914). Ansbach was sometimes spelt Anspach as in this article. (2) From Hassan Khan, Mirza Abul, A Persian at the Court of King George 1809-10, edited by Margaret Morris Cloake (1988). (3) From Craven, Elizabeth Craven, Baroness, The beautiful Lady Craven edited by AM Broadley and Lewis Melville (1914). Brandenburg was sometimes spelt Brandenburgh as in this book. St James’s Palace is a royal palace in London with its main entrance opening onto Pall Mall. 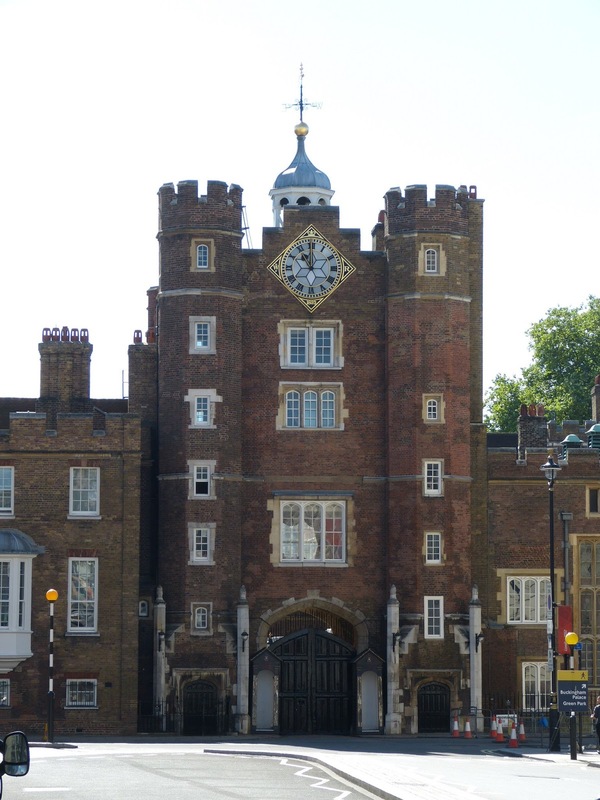 St James’s Palace is built on the site of a lepers’ hospital. 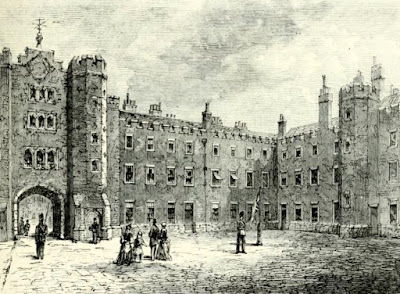 Henry VIII acquired the land in 1531 and built the palace in the years that followed, naming it St James after the saint to whom the hospital was dedicated. 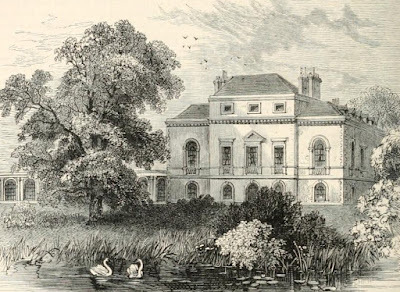 He pulled down the hospital, with the exception of the chapel, and erected a red-brick Tudor palace, and enclosed the nearby meadow to form St James’s Park. 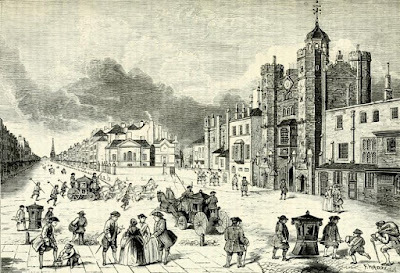 Charles I stayed at St James’s Palace on the night before his execution and was led through St James’s Park to the scaffold outside the Banqueting House in Whitehall. 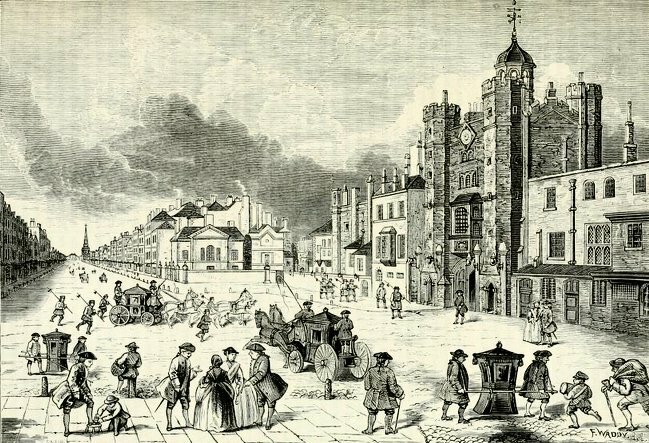 After most of the Palace of Whitehall was burnt down in 1698, St James’s Palace became the principal London residence of the monarchy and the setting for state occasions. 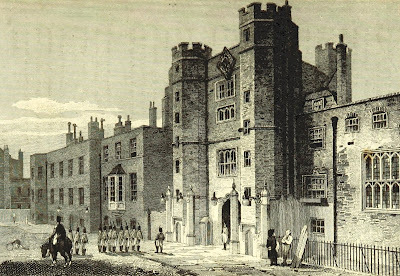 George III and Queen Charlotte were married at St James’s Palace on 8 September 1761. George III bought Buckingham House, what is now Buckingham Palace, for his wife, and this became the main London residence for the royal family. However, it was at St James’s Palace, not Buckingham House, that George III’s first child, the future George IV, was born on 12 August 1762. The future George IV and Princess Caroline of Brunswick were married in the Chapel Royal of St James’s Palace on 8 April 1795. 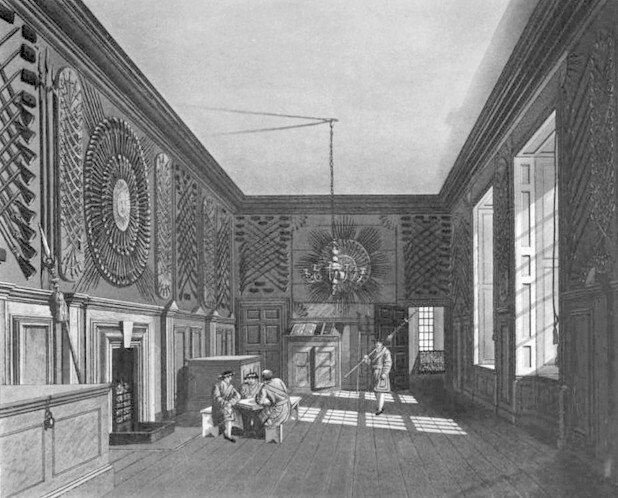 Contrary to Feltham’s expectations, two centuries later, St James’s Palace is still standing, but the king’s private apartments were never rebuilt. 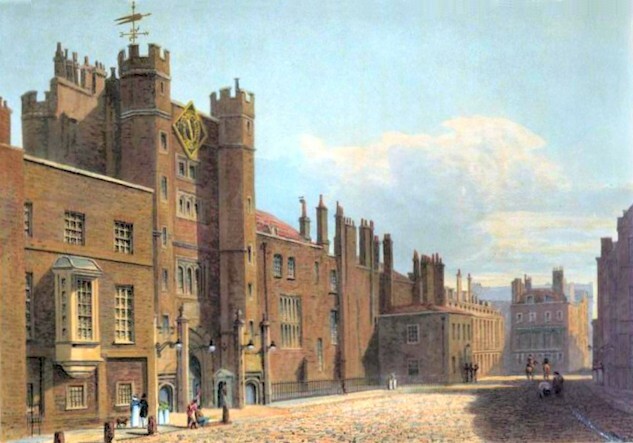 The Queen’s Chapel stands apart and is now separated from the rest of St James's Palace by Marlborough Road. 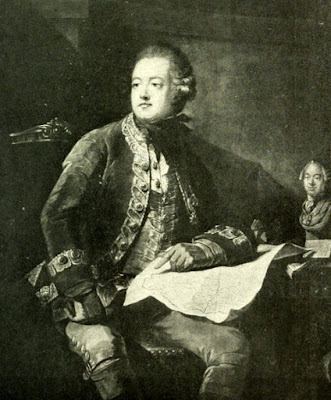 The scandalous death of the Duke of Cumberland's valet. 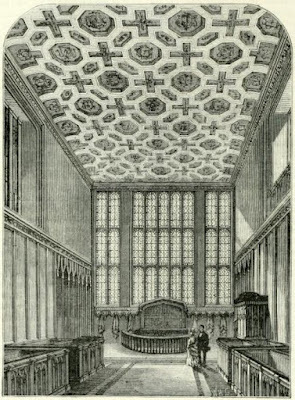 On the west side of the first and principal court is the chapel royal, which is the same as belonged to the ancient hospital; and, ever since the demolition of that building, has been converted to the use of the royal family. That is a mere passage-room to the principal apartments, of which there are five, opening into each other, and fronting the park. 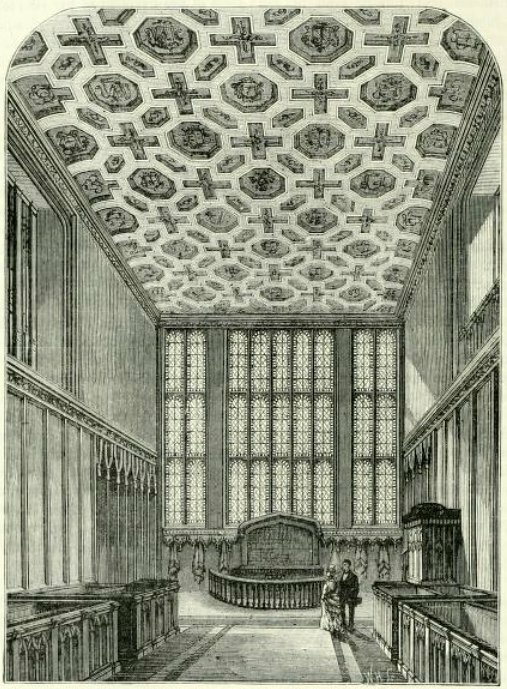 The center room is called the privy-chamber, with a canopy of state, which is used on one peculiar occasion that very seldom occurs; when his Majesty receives an address from the people called Quakers. 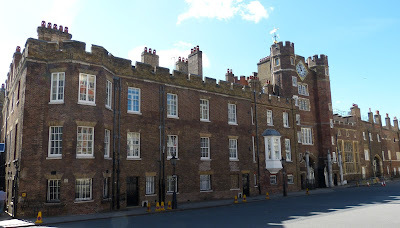 St James’s Palace is still a working palace today and houses various royal officials and is the London residence of some members of the royal family. 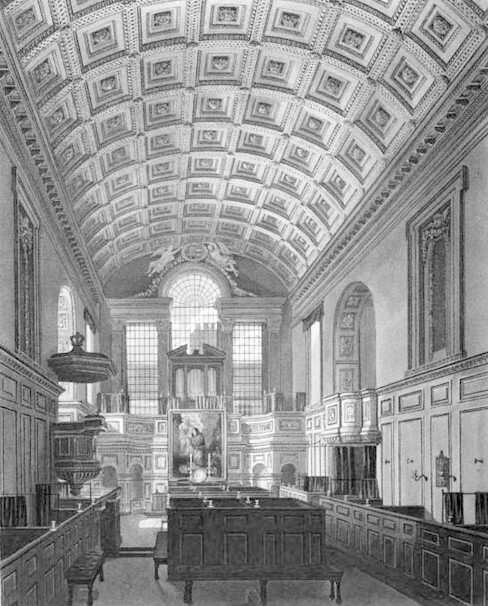 The Queen’s Chapel is occasionally open to the public. 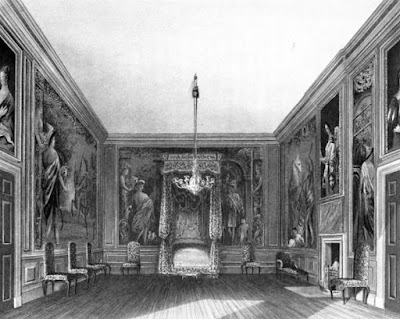 (1) Pyne, WH, The History of the Royal Residences of Windsor Castle, St James's Palace, Carlton House, Kensington Palace, Hampton Court, Buckingham House and Frogmore (1819). (2) Feltham, John, The Picture of London for 1813 (1813). 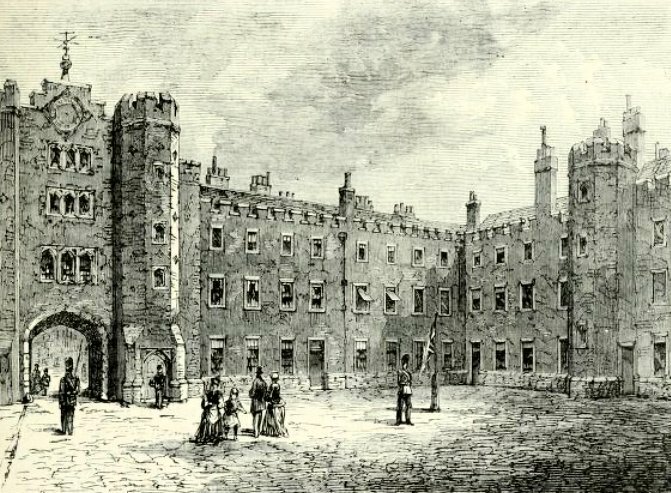 (4) Walford, Edward, Old and New London: A narrative of its history, its people, and its places (Cassell, Petter & Galpin, 1878, London) Vol 4. (5) Feltham, John, The Picture of London for 1818 (1818). (7) Ackermann, Rudolph and Combe, William, The Microcosm of London or London in miniature Volume 3 (Rudolph Ackermann 1808-1810, reprinted 1904). (8) Feltham, John, The Picture of London for 1810 (1810).